We are located 1 Hour from Taupo on State Highway 5 and 35 Min from Napier where you will find award winning wineries, gourmet cuisine, orchards and farmers markets. Beautiful Waipatiki beach is located 45 min drive from here and is well worth a visit. Fly fishing and spinning is available within a 5 minute drive down this stretch of the Mohaka river where chances are you will catch a trout. Fishing permits rod hire and purchase are available through 'Hunting and fishing' stores in either Napier or Taupo. Within these same areas there are also many picturesque places to picnic, and if it gets too hot there are plenty of swimming spots along the way. 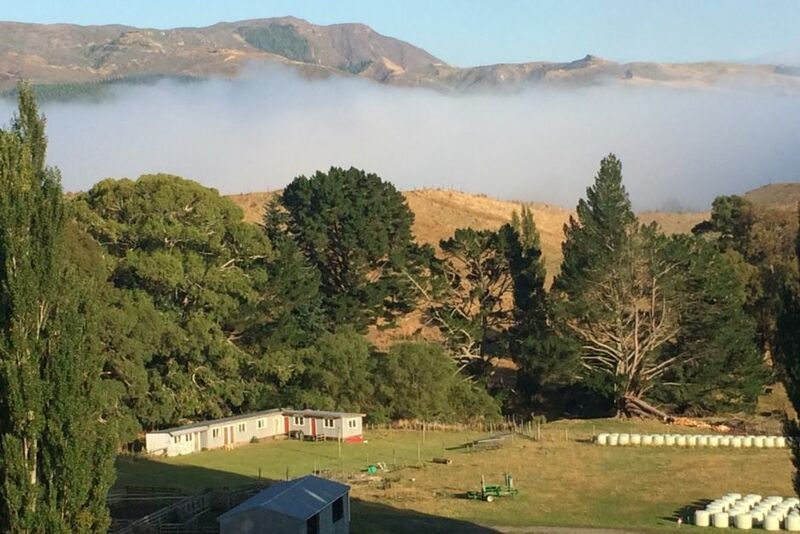 From the Mohaka bridge to the back of the farm there is 4 km of river which runs alongside the property as the boundary, there is also a 50m waterfall that leads into the Mohaka river from the middle of the farm, guided farm tours are available P.O.A. There is a 6 acre garden walk on the property where you can sometimes spot Kakariki, Bellbirds and Kereru. A 30 acre Arboretum garden is located within 15 minutes drive from here a $10 entry fee applies. For the more adventurous there are 2 whitewater rafting/kayaking companies operating within 5 minutes drive from here. There are plenty of farm animals to keep the kids entertained and directly out from the shearers quarters accommodation there is a fenced off paddock perfect for games such as backyard cricket etc. With minimal light pollution this makes for an excellent place at night for stargazing. If you want somewhere to get away even if it's just to read a book away from the crowds in a private setting with friends or family then this is the perfect place! It really is as described shearer’s quarters on a working farm even down to driving through the sheep and cattle to get in. Enjoyed swimming in Mohaka river very short drive from farm. Sorry the curtain came down in middle bedroom hope u can add it to your list of jobs to do. Garden wow even though it’s restoration a work in progress. Thanks for your hospitality. Loved the place! Stayed 5 nights and didn't want to leave. Bach has everything you need, lovely to wake up to the sheep in the paddock right in front of you. Did horse riding down the road and swam in the river at the campsite ( river is super cold). Never found the waterfall but had a great walk looking for it. Only thing missing is a freezer for those who are visiting for longer.. The quarters are very much as described- basic but clean with good quality beds, bedding and towels. Nice location only around half hour drive to town and very close to mohunga rafting too.